July was a joy-filled whirlwind around Elle & Company. Lots of pretty paper goods were designed, a couple fun announcements were made, and several inspiring ladies were featured. Before I reveal the exciting things in store for August, let's take a quick look back at all that happened in July. I switched things up a bit one Friday and invited my Instagram followers to ask me questions for a Coffee Date. I talked about what I wanted to be when I grew up, where most of the clothes in my closet are from, how I stay motivated, and yes, I even shared our "love story." You can read the Q&A here. 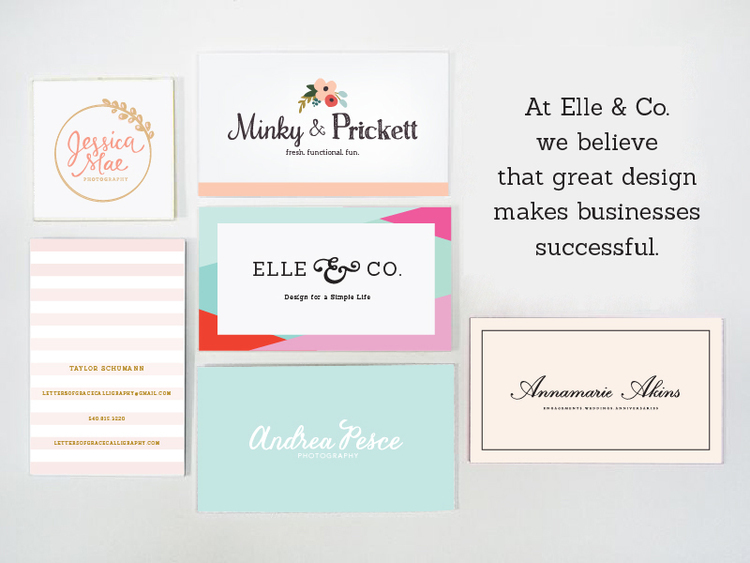 I made the exciting announcement that I will be offering branding services through Elle & Company. I also wrote a blog post on what branding is and why it's so important. Several colorful printables were added to the Library, including recipe cards, a weekly to-do list, gift vouchers, and a fun kitchen print. I started a new Wednesday blog series on How to Start a Blog. I shared my own blog story and dug into fun topics on finding your niche, writing quality content, creating a loyal audience, and growing readership. A handful of new Weekly Truth backgrounds were designed and shared each Tuesday. I must admit, these have been my favorite colors, patterns, and verses yet! I especially love this one. It was a great joy to feature some of my favorite ladies in the Coffee Date series, too, including Katelyn James, Kristin Schmucker, and Bailey Robert. And, as always, I wrote a handful of letters each Monday morning. They started as a creative way to journal weekly events and funny stories, and they always result in a thankful, happy heart. You can read the most recent letters here. What were some of your favorite Elle & Company posts this past month?